With a small paring knife, slice off a thin portion of the top of the apple to create a flat top. Then core and hollow out the center of each apple, leaving the bottom intact so the apple becomes a cup. Drizzle with fresh lemon juice to prevent browning. In a blender, whip together Yoplait© Greek yogurt, ice, vodkas, and agave nectar. 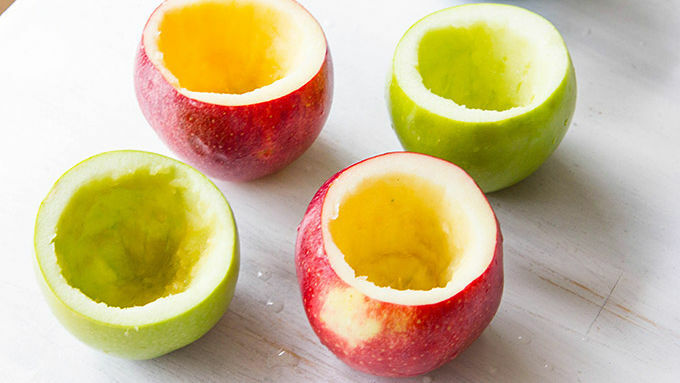 Pour into each of the hollowed apples. 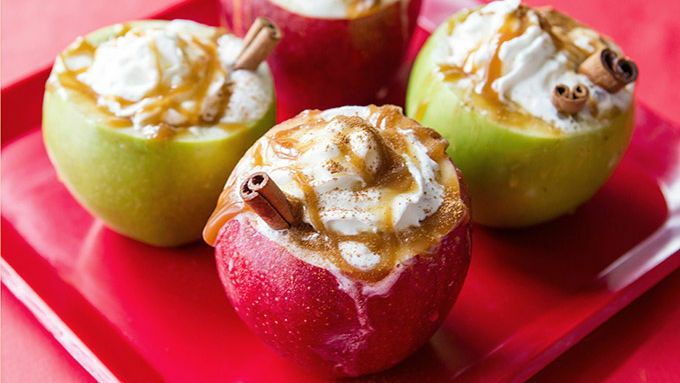 Serve topped with whipped cream, a sprinkle of cinnamon, and cinnamon sticks as straws. 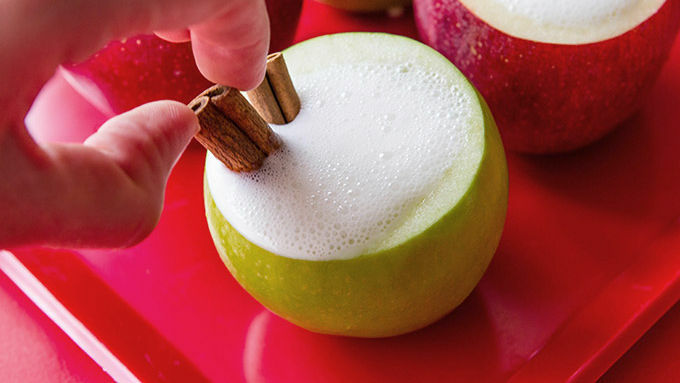 Apple vodka, caramel vodka and creamy apple yogurt – together in one delicious fall cocktail. You’re one of those wonderful people. One who gathers friends. Serves them yummy food. Wows them with clever, fab ideas. Blankets them with the feeling of warmth and connection. You’re divine like that. So divine, in fact, that we wanted to give you first peek at the autumn cocktail everyone is going to go gaga over. Call your people, invite them for apps, then serve them these pretty little apple cups filled with a creamy apple cheesecake cocktail. Life is good. Drink in every moment. Apples! Use a bundle of crisp, fall apples. Pick your favorite color. Or mix and match. Buy local. This recipe starts with these colorful fall fruits. Enjoy your cocktail, share, and say hello to fall, y'all!